I always enjoy Japanese food for it's simplicity and freshness, and to think of there's really hardly any good yet affordable Japanese food here in Malaysia (don't get me started with Sushi King and Sakae Sushi). 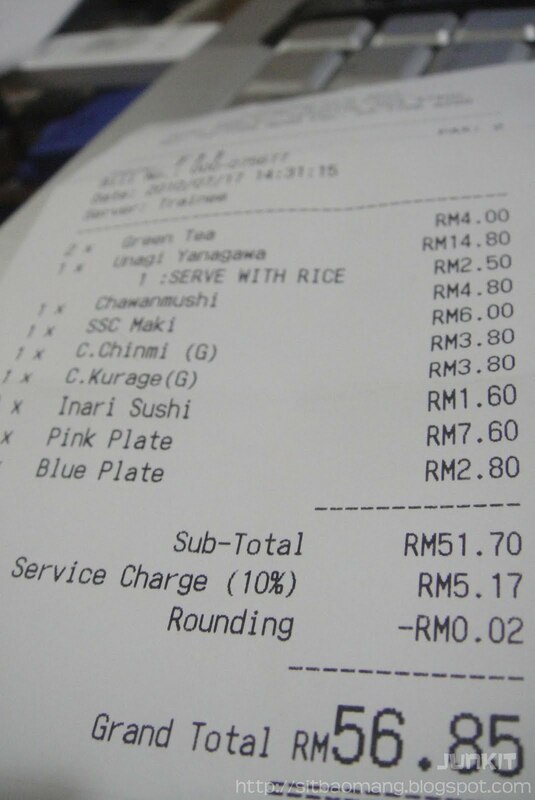 Thank god that there are a few really good outlets nowadays, like Sushi Zanmai, and recently I founded an up to par in terms of quality and price at Sushi Tei in Tropicana City Mall. 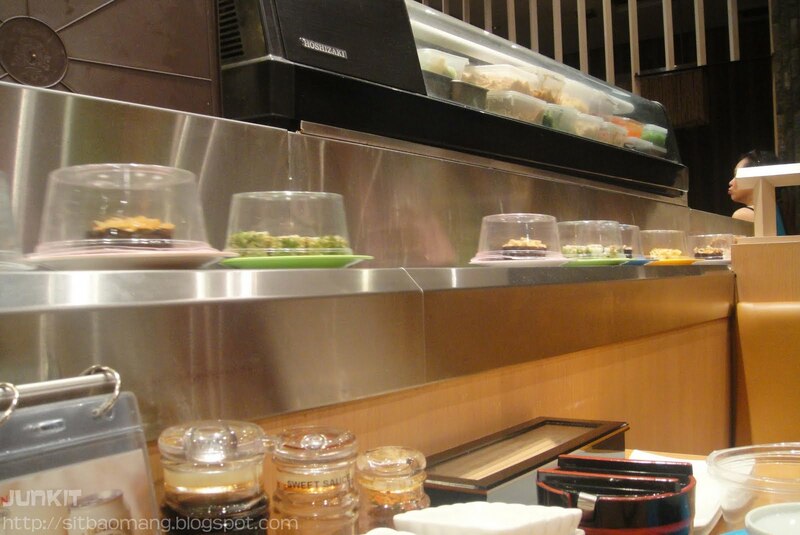 For starters, we took some sushi from the kaitan belt before deciding on some main course to be shared. What's Japanese food without some good raw salmon! 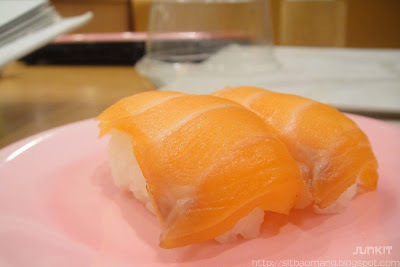 Salmon Sushi (RM3.80) was good even taken from the kaitan belt. The flesh still remains tact and firm, and it's really has this freshness taste if you enjoy raw fish meat. Ebbiko(RM2.80). This was ok and expected, as I think roe sushis are the safest food and the taste wouldn't defer much between restaurants. Chuka Chinmi(RM3.80) - scallop and Chuka Kurage (RM3.80) - jellyfish. 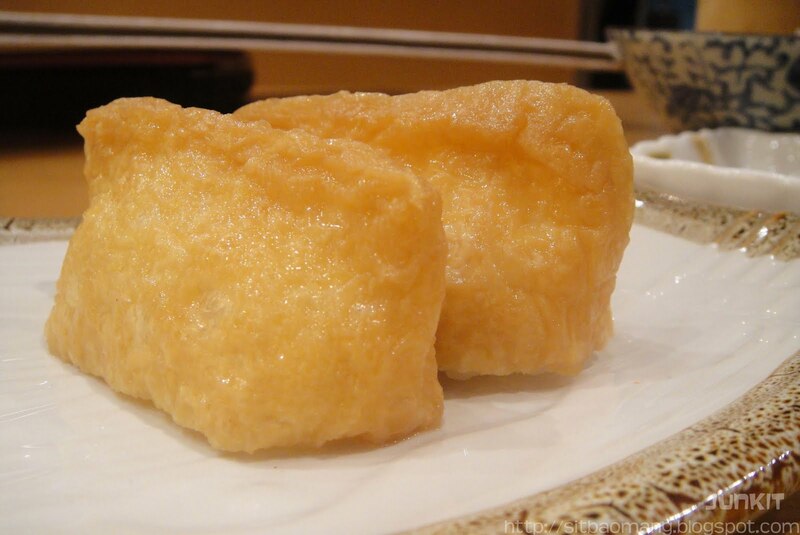 The Chuka Chinmi was pretty good and was a bit salty, but when eaten with the sushi rice it's pretty ok. Not bad. The Chuka Kurage packs a good bite with very bouncy texture of the jellyfish. Inari(RM1.60). 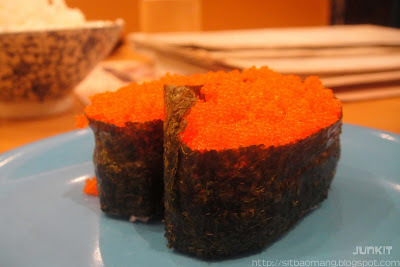 Simple yet this is one of my favourite sushi in Japanese restaurants. Am still wondering how simple sweetened tofu with some sushi rice mixes together so well! 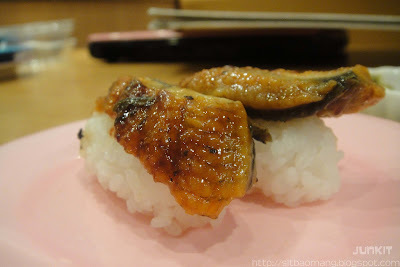 Now if I could just have some sweetened tofu for dinner everyday..
Unagi(RM3.80). Was not warm, well expected since it's from the kaitan belt. However, the coated sauce was thick and the fish was really good. Loved the fleshy texture. Unagi Yanagawa(RM14.80), served with white rice. The eel is stewed with burdock root, which adds a rather sweet taste to the stew. This was my first time eating burdock root and it remained pretty crunchy eventhough stewed. The unagi was tender and I could really taste the fish, a rather different approach from the grilled unagi that we usually have. 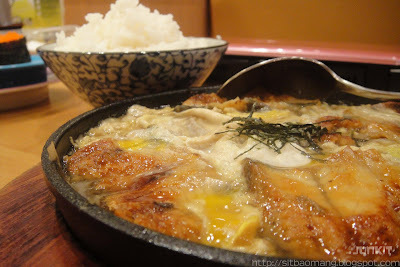 The gravy is best eaten with the accompanied white rice. 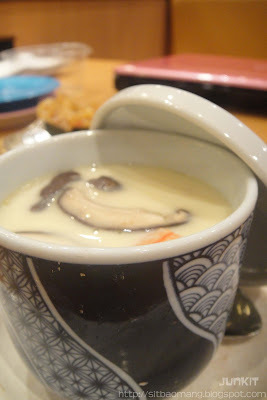 Chawanmushi(RM4.80). Silky and smooth, with ingredients like prawns and mushrooms! 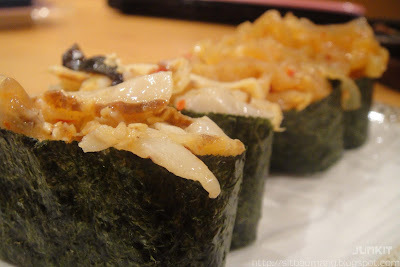 Soft Shell Crab Maki(RM6). Straight from the wok, was still warm when served. 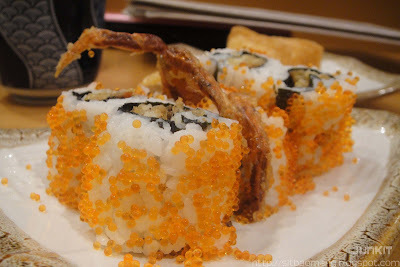 A pretty contrasting texture with soft fluffy sushi rice and crispy crabs. The kaitan belt nearby our tables, I would say pretty good food served but it was a busy day on the day we visit, hence the pretty fast refills. 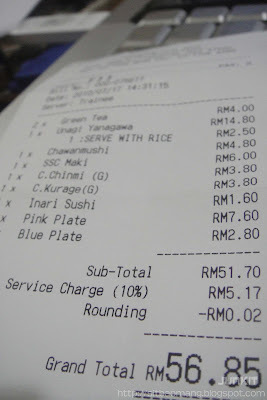 The total was RM56.85 for the both of us. It's not cheap, but reasonable enough to pay for some good food. Would definitely return. sushi tei where got nice????? u didnt mention that the one in sg is more much better than the one in tropicana city mall la..